Does anyone fish with their wading staff on either a backpack or sling pack? I'm curious how this works out on the water as I have an incoming Simms but I'm not stoked about a 21" inspector gadget staff on my wading belt. One thing I'm going to look into when I receive the staff is sewing a cord on the sheath to turn it into something I can wear slung over my shoulder like a sling pack. If this fits high and tight enough I think it will feel relatively out of the way compared to the wading belt. So if anyone has adopted this method I'm all ears too. I'm not sure why you think putting on your belt is a bad idea? @planettrout Folstaf is bungee cord which will fail over time plus it can separate if wedged between rocks while wading. 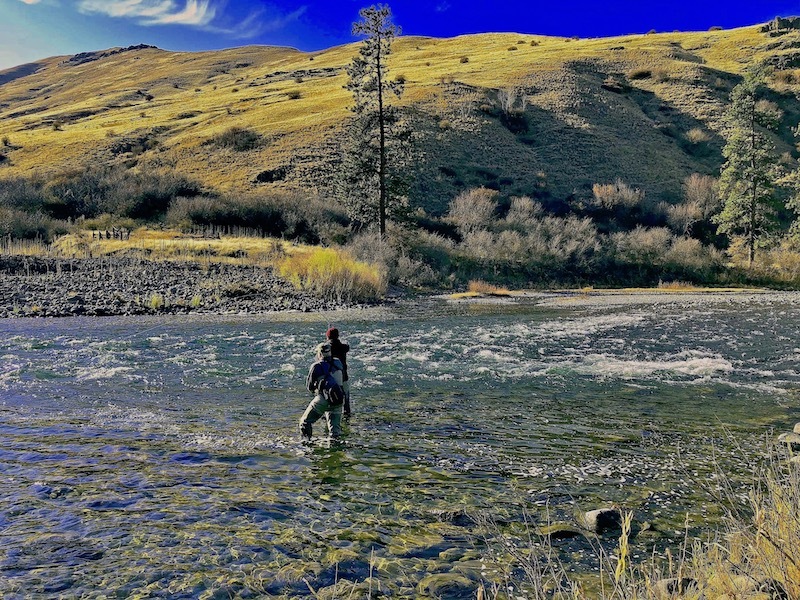 Simms and Fishpond use coated metal wire which is stronger, more durable, and won't separate. 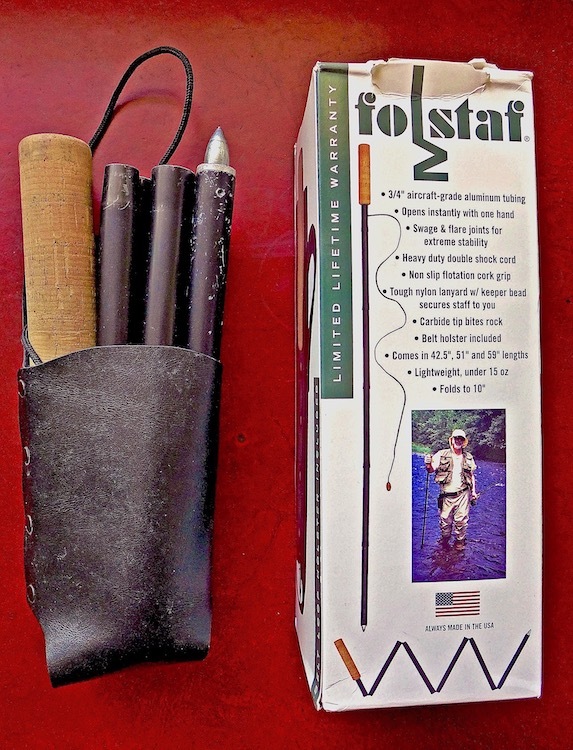 Folstaf is wide that looks like a cumbersome load on a wading belt. 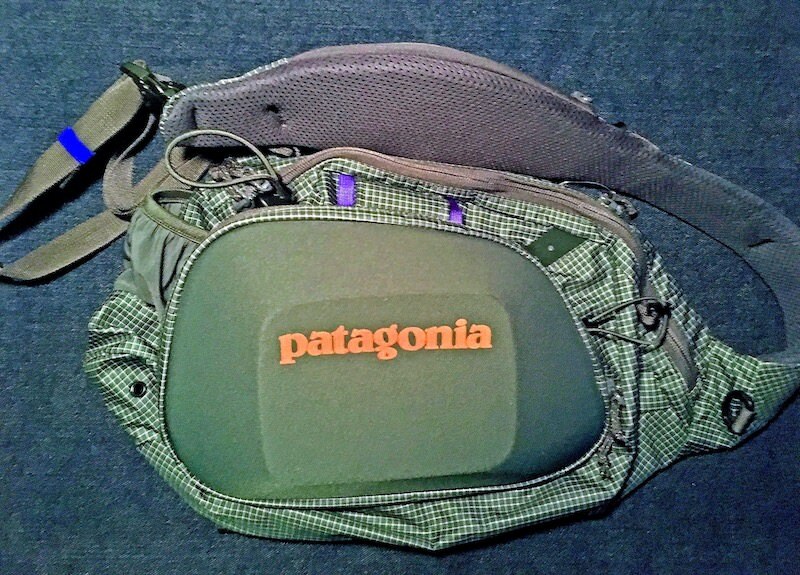 I like your Patagucci sling pack I'll check it out. Agree. I've used my Folstaf for years. Never failed, and I've never had it wedge between rocks and separate. It's absolutely out of the way in its holster on my belt when wearing backpack or sling. I have a couple of collapsible that I wear on my belt but they are short 12" long collapsed. I have another that I use a lot and it is extendable with detent holes and a metal button to lock it. It collapses to 34" and does not have a sheath. For that staff it has a removable wooden knob at the top that functions as a camera mount and a ski pole like basket near the bottom. I used 60lb braid to make attachment loops at the basket and at the knob then I took an old 2" strap from a computer carry briefcase (has snaps on each end) and connected the snaps to the loops top and bottom. Then I carry the staff across my back kind of like a rifle. This works well for me if I am not carrying a sling bag or a backpack. If I were wearing a backpack I would strap it to the pack somehow. I've had a simms staff for several years. I've never felt the length was an issue when it's folded up and on my waist, and since it only has 3 sections it's very slim and doesn't catch on anything or get in the way. I slide it around behind me when I'm not using it and it's easy to reach. If you attached a staff on your pack you'd have to take off your pack to use it, not something you'd want to be doing in the middle of the river. Plus you definitely want the retractor cord attached to your waist, then you can drop the staff while you're casting and It'll be right at your side so you can grab it easily when you start to wade again. I had a one piece staff for a while and tried attaching it to my sling or chest pack, that was a royal pain. Attaching it to your waist and using a retractor like the simms has is the way to go if you ask me. I generally just keep mine extended and let it float behind me or in front of me if I am fishing downstream, it's a wading staff and that's what I use it for, when I'm wading and walking along. Sometimes I don't take it down for months just throw it in the truck behind the front seats. I do fold it up when I am on my bike because it can be hard on spokes. I like the original Simms, it finally gave up the ghost this fall after 8 years, unfortunately I was on the wrong side of the river. I love wading staffs. I preferred the Simms over the Folstaff because it doesn't stick. The New Simms staffs are not as nice as the old ones, more complex, more money too.